We are proud to have the only traditional kitchen still in operation in the Seychelles. At REDSNAPPER cafeteria, the familiar sound of traditional live music such as sega, moutya, paired with an island organic cocktail will surely put you in the island spirits and will bring you a taste of the Seychelles island and its lovely poeple. TREAT YOUR SENSES TO AN EXTRAORDINARY EXPERIENCE. This is the ONLY KIND OF RESTAURANT on the island that works absolutely with a variety of fresh products. "There is no love sincerer than the love of traditional and organic food." We are the first agro-tourism concept in Seychelles. 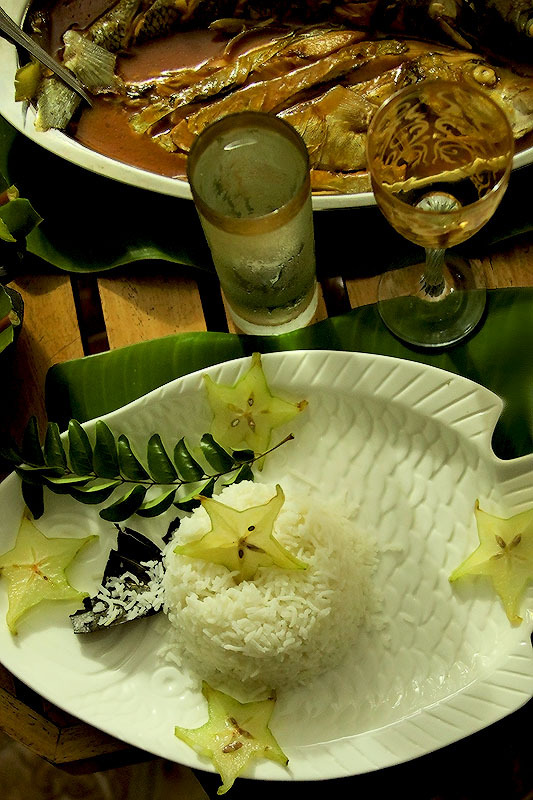 Dining are prepared in cast-iron and served in half cut coco de mer, our endemic palm and the biggest nut in the world. 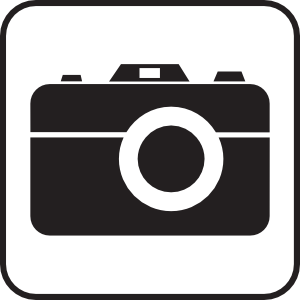 An experience not to be miss. Our organic spices from the garden give you the real taste of Seychellois cuisine. We have a wide selections of organic beverages. Witness how to tap palm wine, and a glass of palm wine will surely bring you to the dance floor to participate in the traditional live entertainment. 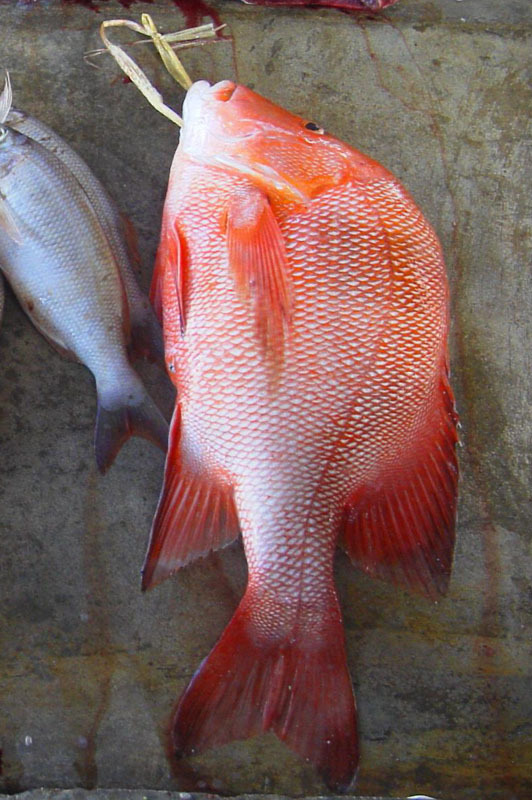 We serve fresh REDSNAPPER, one of the most sought-after fish in the Seychelles. All the ingredients we use are organically grown. After dinner you will be treated to a variety of herbal tea in the garden and take part in the entertainment.